Jordi Baylina presented iden3, a blockchain-based identity management solution that aims to solve the main issues related to identity management such as privacy, scalability and accessibility. 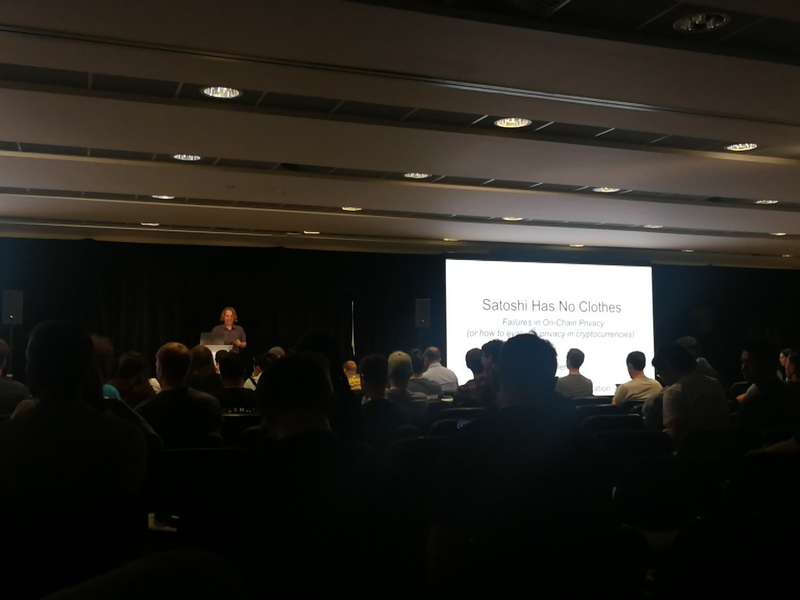 With the implementation of zkSNARKs protocol, iden3 is being developed with zero-knowledge proofs at its core, providing “privacy by design and by default”, as described by Jordi. As users can create as many identities as they want, and the identities can create as many claims as needed, state is stored in Merkle trees and only the root is stored on chain, allowing for scalability. Having the creation of identities as an off-chain operation, users don’t need to hold any Ether, and wouldn’t even need to create a transaction if using relayers, thus improving accessibility and encouraging mainstream adoption. This open source project is still work in progress and we look forward to seeing its further development. After an overview of how SpankChain got “spanked”, CEO Ameen Soleimani, announced ComeSwap, a payment channel-based decentralised exchange, where BOOTY token holders can exchange their tokens for Ether with a 1% fee. Furthermore, Ameen introduced us to SpankChain’s recent partnership with Connext. Together, they have developed a non-custodial payment channel, currently being used for real payments in production. By the means of this implementation, Spank.Live users can pay small amounts of money (tips) directly to the performers, eliminating hefty fees from payment processors and the need to trust the camsite to accurately charge the user’s credit card and fairly pay the performer. SpankChain and Connext will continue to work towards the improvement of their P2P micropayment network. How do we control the material world with smart contracts? Vinay Gupta from Mattereum pitched their product by sharing thoughts on how to link the material world (especially fiat assets) to smart contract. He firstly pointed out the market potential of blockchain by comparing the market size of payment via blockchain with value of assets moved via paper — 50 trillion a year, and the market size of poorly digitalized B2B payment — 4x as large as B2C market. To address challenges facing in blockchain-enabled B2B payment, Mattereum introduced “Mattereum Protocol” where it uses “Asset Passport” that pairs the name/ID/bundles of insurance contracts of real-world asset with token on blockchain, “Automated Custodian” to control the access between real world and smart contracts. Details of his presentation can be found on their white paper. The co-founder of Zcash, Ian Miers talks about the importance of evaluating the privacy of cryptocurrencies. The privacy of blockchain is not intuitive. People may not pay attention or even be influenced by an intentioned marketing campaign, or as Ian called “Privacy Theatre”. In the era of advanced data analytics, the decoy based systems can be attacked. Ancestry on the taint tree of decoy transactions may be traceable by taking intersection of multiple transactions. For instance, recurring transactions between senders and receivers, patterns will be found that could trace back to breakpoints which may reveal one’s identity or other payment preferences. 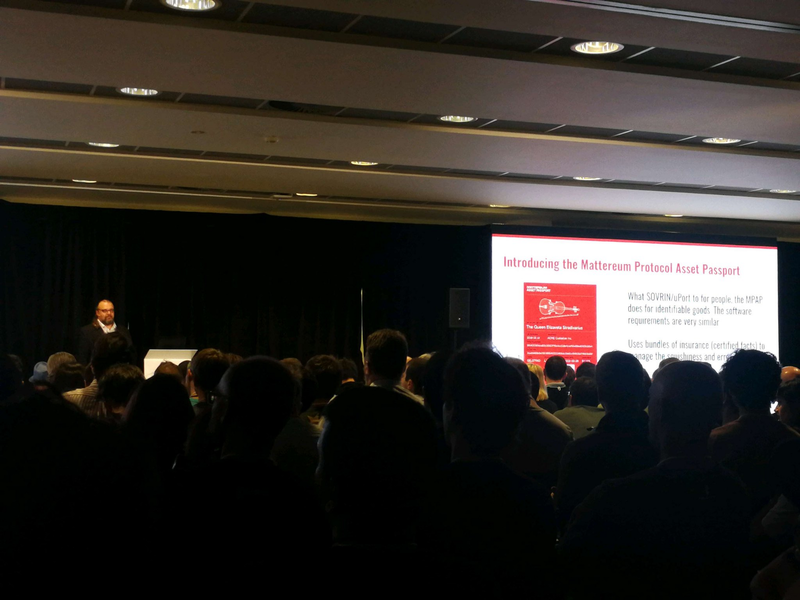 The Metamask team presented their latest dev updates as well as their new Metamask Lab efforts: Since a few months, Metamask finally supports two hardware wallets (Trezor + Ledger). Moreover, Metamask now supports ENS resolving, e.g. when you type a .eth url, it will be resolve the ENS Public Resolver `getContent` hash to the corresponding IPFS hash, and redirect your browser to the content. Metamask Labs has launched the Mustekala project to build a browser-based ethereum light client, Multi-Network Integration research to setup Metamask for eth-compatible blockchains, and general layer 2 scaling research for Metamask. 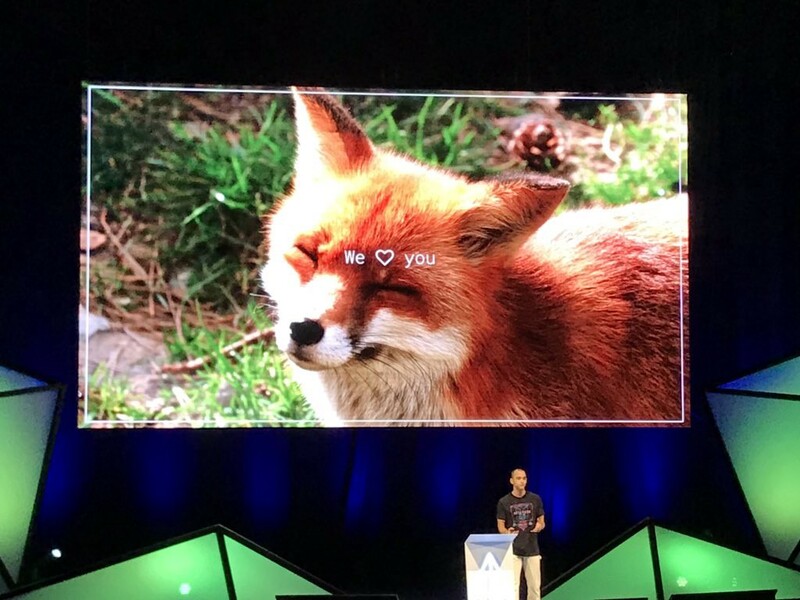 And finally — they announced one more thing for next year, which is the nice Metamask App on mobile systems as well.